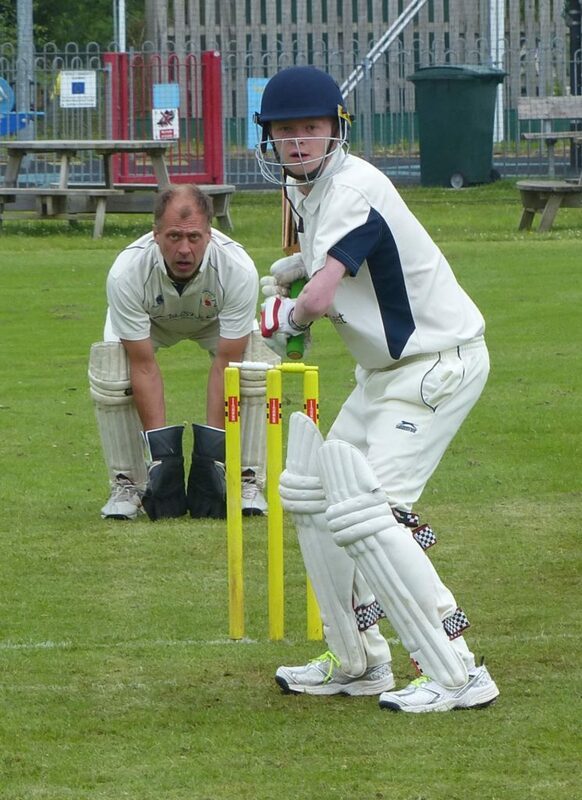 Carradale Cricket Club claimed a penultimate ball victory a nail biting finish at Taynuilt. Calum Hooper`s steadfast, assured innings of 66 unbeaten runs eventually won the day after the two evenly matched teams, met recently and took the game to the last over with both teams in with a chance to the end. Having won the toss the home team openers Leach and Burton got off to a sound start on a damp pitch with uneven bounce. Their run rate was kept well in check by some fine bowling from Carradale`s Hooper D, McMillan and Hooper C.
With the loss of Burton for 25 Oban`s dangerman Forster came to the crease and with Leach, who went on to score a well crafted 33, threatened to ‘open up’ with the bat. The onslaught like the threatening rain clouds never materialised. At no stage did the Oban run-rate escape the constrictive Carradale bowling with Cairns, Humphries and Marriott maintaining the pressure on the batsmen. Unorthodox off spin bowling eventually prised out Forster who scored 42 – caught and bowled by a jubilant Cairns. Mention should be made of the sterling fielding by Carradale especially the new boys Richardson, Rowley and Arran -who were often spectacular. An Oban total of 145 in the allotted 40 overs always looked to be vulnerable. 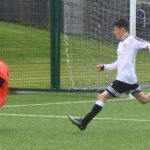 The Carradale innings opened in much the same vein as Oban`s had with excellent accurate bowling from Forster, Leach and Mckenzie countered by the solid batting of Hooper C and Cairns. Cairns inadvertently dislodged his bales in an attempted sweep to the speedy Forster, Richardson was caught before he could get his eye in and Marriott having set off striking the ball with aplomb had to retire. Fortunately, Humphries, who scored 11, was able to steady the Carradale boat and provide support for Hooper C who was playing with consummate ease, albeit surviving an edge to the slips off a sharply rising delivery from Forster. The running between the wickets lead by Hooper was a revelation. There was a steady fall of Carradale wickets as the score painfully edged its way up towards Oban`s total. Thanks to the tenacity of man of the match Hooper C, carrying his bat from beginning to end and Robertson`s fearless last man support, the match was won for Carradale with just one ball to spare. The Carradale team wish to express thanks to the Oban Club for their hospitality and great sportsmanship.